The remote Rocky Mountain cabin that Corb Lund selected as the location to write the material for his latest album was an inspirational choice as the creative fever generated has evolved into yet another fine collection of songs that should cement his position as one of the leading lights of Canadian country music. The Albertan balladeer has maximised his wonderful ability of mixing catchy choruses and quirky lyrics with a range of musical styles to tackle a host of contrasting subjects, all supported by a backdrop of the west and its wide expanse. ‘Cabin Fever’, the seventh studio album by Lund, leads off with an adequate track titled ‘Getting Down on the Mountain’ which is enhanced by a hint of banjo, before bursting into life with the stomping ‘Dig Gravedigger Dig’ , a tongue in cheek sing along number featuring a repetitive but infectious chorus. There are many similarities in the song writing styles of Corb Lund and Hayes Carll and the invitation given for the latter to duet on the distinctive road song ‘Bible on the Dash’ was a perfect fit and a take on religion that the Texan has experimented with before on the popular ‘She Left Me For Jesus’. The excellent fourth track ‘September’ showcases the tender side of Lund’s lyrical qualities where a beautiful western feel to a sound, evoking images of the Rocky Mountains, supports a longing for a love trapped between the rural west and the big city east. Not surprisingly this outstanding track has already been highlighted for further promotion with a single release. Lund returns to this slower style later on the album with the steel accompanied sad regretful reflective number ‘One Left In The Chamber’. In contrast, Lund is also capable of creating a fine rock n’ roll/rockabilly sound and the album contains two tracks that expertly demonstrate this. ‘Mein Deutsches Motorrad’ celebrates a passion for German motorcycles, as per the translation, while ‘The Gothest Girl I Can’ sees Lund use a driving bass to hark back to his punk roots. The rural Alberta background of Lund comes to the fore with the western swing influenced ‘Cows Around’ while an album of his wouldn’t be complete without some reference to those custodians of the west with ‘(You Ain’t A Cowboy) If You Ain’t Been Bucked Off’ supplying the subject content on this release. The western package is almost complete with the yodelling introduction and interludes added to the distinctly titled ‘Priceless Antique Pistol Shoots Startled Owner’. That other essential ingredient of a country record also makes its appearance in a couple of tracks. ‘Drink It Like You Mean It’ is a conventional but still enjoyable traditional drinking song while ‘Pour ‘Em Kinda Strong’ concludes the album in an evocative aggressive style laced with sad overtures. 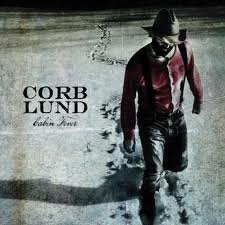 Those fortunate enough to catch Corb Lund on his very brief visit to the UK at the end of June would have had the privilege of a live preview of this excellent bunch of songs. However the rest of us at least can comfort ourselves with repeated listens on our various musical devices while we wait, hopefully, for a more comprehensive future visit to give this record the airing it deserves.